S obambisana, initiated in 2008, is the first attempt in South Africa to develop a local evidence base for interventions aimed at improving ECD, particularly those relevant to rollouts under the National Integrated Plan. Five non-profit resource and training organisations (RTOs) active in Early Childhood Development (ECD) were contracted to implement high quality models of ECD provision that would improve the access of children younger than six to developmental opportunities, and smooth their transition to their first schools. These organisations were the Centre for Early Childhood Development (CECD) and Early Learning Resource Unit (ELRU), based in the Western Cape; the Khululeka Community Education Development Centre (KCECD), based in the Eastern Cape; Ntataise, based in the Free State; and Training Resources for Early Education (TREE), based in KwaZulu-Natal. 1. Design systems for monitoring and evaluating the various interventions, and instil a culture of M&E in the partner organisations. 2. Monitor and evaluate programme implementation by each partner. 3. 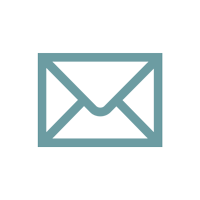 Evaluate the outcomes of interventions implemented by each partner. 4. Evaluate the impact of these programmes on children by the time they reach Grade R.
Programmes were implemented by four partners in six communities in four provinces: Indaka in KwaZulu-Natal; Grabouw and Vredenburg in the Western Cape; Lusikisiki and the Queenstown area in the Eastern Cape; and the Viljoenskroon/ Rammulotsi area in the Free State. All these sites are characterised by high levels of poverty and deprivation. 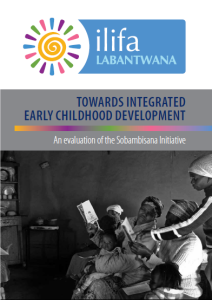 The results of the evaluation of this initiative are available in Towards Integrated Early Childhood Development: an evaluation of the Sobambisana Initiative. Download it here.